TUCSON, ARIZONA — La Estancia will be celebrating the opening of Lennar Homes’ new home neighborhood and models at the La Estancia Spring Celebration event from 12 p.m. to 3 p.m. on Saturday, April 13. The Spring Celebration event is open to the public and will feature food trucks, music, face painting, a balloon artist, inflatable bounce houses, raffles and model home tours of all three new homebuilders – Meritage Homes, Richmond American and Lennar Homes. 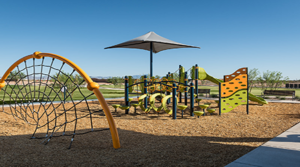 Event guests will start the La Estancia Spring Celebration event at the La Estancia Community Park located at 6725 E. Via Pompas Morenas in Tucson to receive an event map with model locations and enjoy event activities. A special visit from the Easter Bunny is scheduled for 1 p.m.
La Estancia’s family-friendly community offers a diverse range of home styles and recreation experiences for residents. 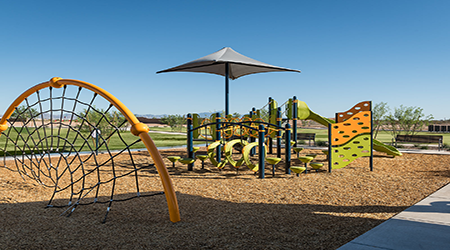 The hub of the community is the expansive community park featuring a pool, children’s play area, splash pad, event lawn, and picnic ramadas. The award-winning La Estancia community is located along the I-10 between Wilmot Road and Kolb Road, and offers nearby access to the Julian Wash trail system. 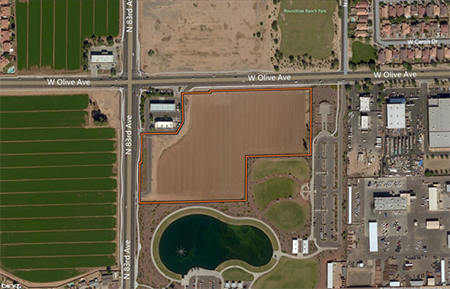 The community is within close proximity to the University of Arizona, the David-Monthan Air Force Base, Tucson International Airport and the highly-ranked Vail School District. www.sunbeltholdings.com/property/la-estancia.